After a long silence I announce that my book has been published by Stampa Alternativa & Graffiti. The book is titled Sinsemia. Scritture nello spazio, that means “Synsemia. Writings in space”. Unfortunately, it is not a science fiction novel. The book talks about the strategies for writing a non-linear text from the design/composition perspective. The interfaces of what are usually referred to as “construction and management games” [games in which planning and logistic challenges are emphasized, the player’s goal is to build or manage something with limited resources in an ongoing process] (but also strategic ones) are interesting examples of synsemic texts and, above all, they show a concrete application of the idea of analogy. We present a synsemic analysis of the medieval portolan chart “Carta Pisana”, a map for marine navigation. We talked about this visual artifact even in this post (in italian). We publish a kind of graphical abstract of the Divina Commedia designed by Luciano Perondi and Angelo Monne. The design process was based on a simple synsemic model and the result is a clear (we guess) visual syntax. 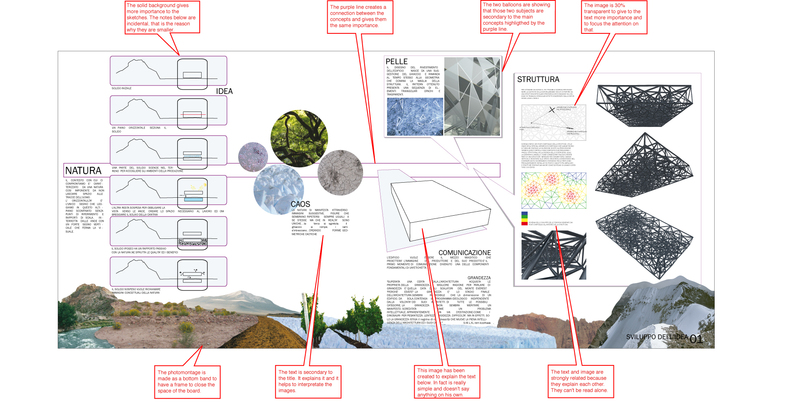 Visual analysis of the artifact (Pdf). The image below is a screen shot of http://www.repubblica.it taken on January 13th, 2011 at 10:05 am. The yellow line indicates the position of the news about Southern Sudan Independence Referendum. I will take the same screen shot in the next 6 days at the same hour to show the trend and at the end I will post the result. Some time ago Giovanni Lussu pointed out an article to me: “pages 47-66 [ Typographica 12], entitled Emphatic fist, informative arrow, with a short text by Edward Wright commenting some pictures by Herbert Spencer of fists (…) and arrows (…). The article ends this way: “The sign on the highways is really not an arrow at all; it is a diagram which can change direction and be read from a distance at windscreen level. We can call them arrows because ‘arrow’ now means a certain kind of sign”. 2. and arrow is used not only to point a “sense” but also to show a sort of hierarchy in the synsemic text (for exemple, on one side of the arrow there is the main text on the other the “explanation”, or the “note”) or simply to “point out” something in the text. 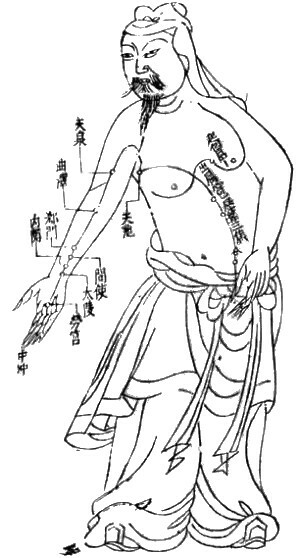 Acupuncture chart from the Ming Dynasty. The "pointer" is used to create a hierarchy between the main text and the explanations. 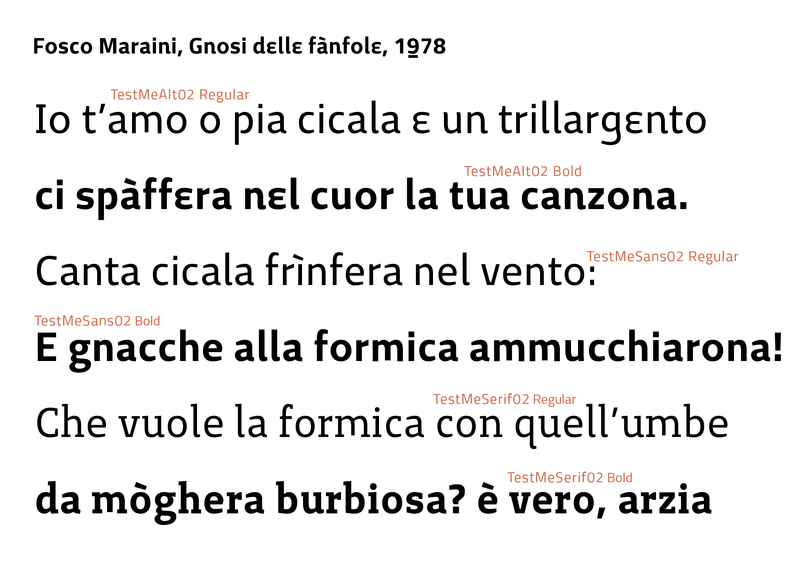 Some very short notes about the history of the arrow as a graphic sign (there are four previous posts on this topic in italian: 1, 2, 3, 4). The discussion started from the article “Mapping symbols to response modalities: Interference effects on Stroop-like tasks”(pdf) presenting a Stroop-like experiment on the interference between a word and an “arrow”. In a few words, from the abstract: “The subjects were required to respond to one stimulus — an arrow (e.g., →) or a word (e.g., left) — and ignore the other”. The most important result of the experiment, in brief, is that when the subjects have to act (pressing a key), arrow is stronger than letters, while when the subject have to vocalize the arrow is weaker than letters. 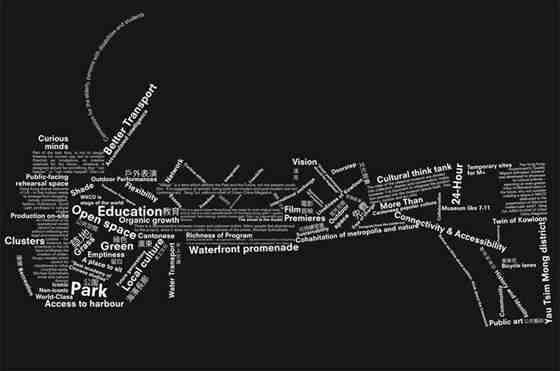 The image above is a scheme made by OMA for a conceptual masterplan for a cultural district in Honk Kong. In this image we can define some rules that can be applied to most of architectural projects. The image above is a graphic artifact I designed to explain the concept of an architectural project: a wine-cellar in Argentina. In order to communicate an idea through white bi-dimensional space you must think first about the space of the text, choosing which part of the concept will be the main and which will be subordinate, what has to be communicated first and what is just secondary. 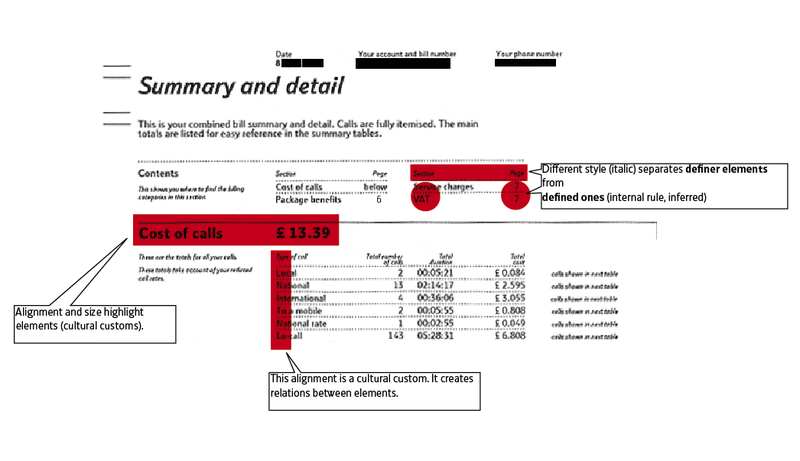 Then you must plan how to design the page and the relation between images and text. Sometimes the text explains the images, otherwise text and images are strongly related and they would lose their meaning if they are separated, or the images are created to explain the text. 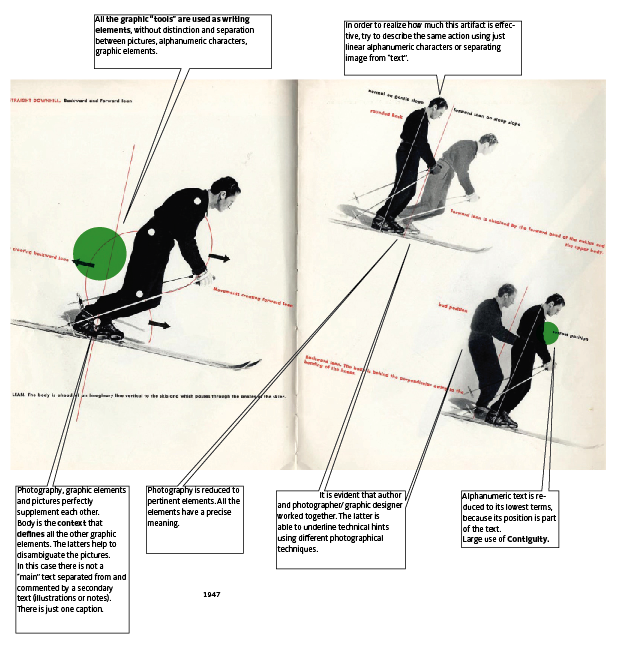 How to Ski by the French Method by Emile Allais, with photos and layout by Pierre Boucher, Editions Fleche Publishers, Paris, 1947. In our opinion one of the most complete exemple of text synsemically displayed. A contemporary “synsemic masterpiece”. In this picture all the graphic “tools” are used as writing elements, without distinction and separation between pictures, alphanumeric characters, graphic elements. 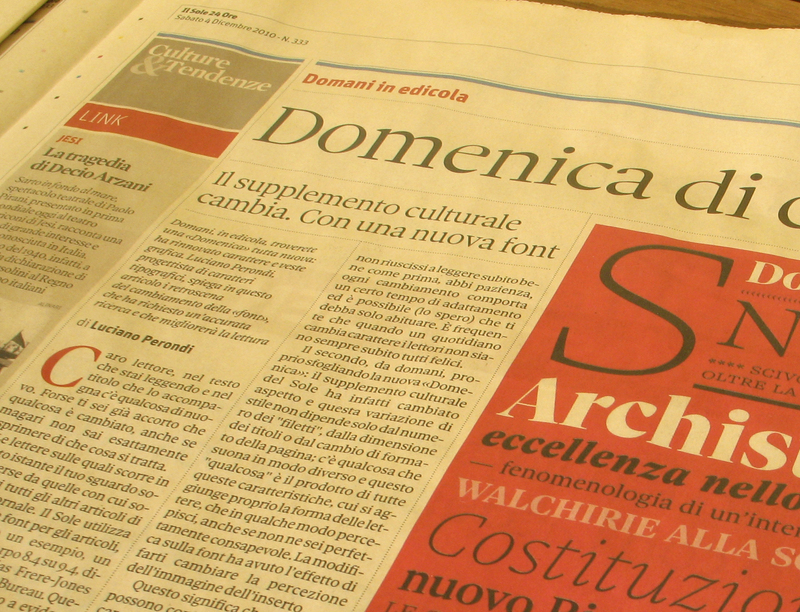 Today on Il Sole 24 Ore, an important italian newspaper, Luciano Perondi presents his new typeface “Sole Serif”, that will be adopted, starting tomorrow, in the weekly cultural supplement. So a few words on type design and the synsemic perspective. Aren’t they in opposition? 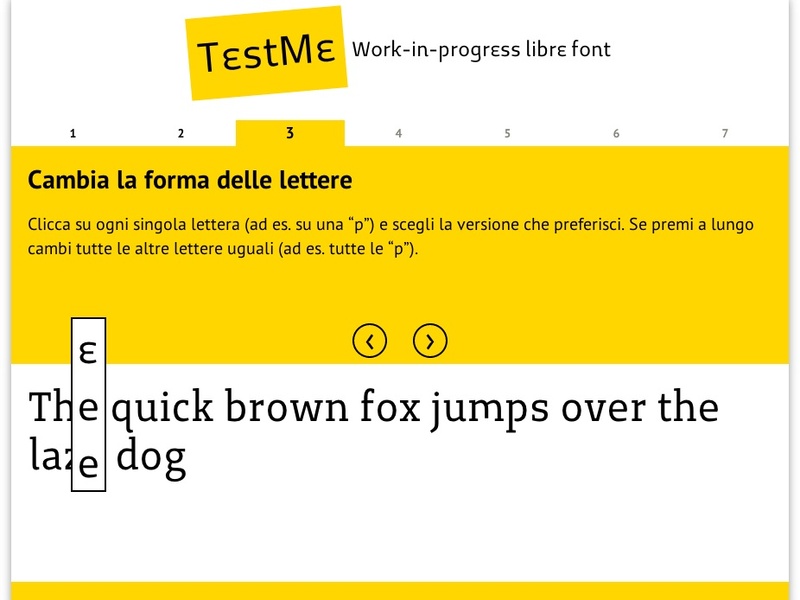 If synsemia is the study of the non linear organization of elements of writing, type design shouldn’t be its opposite? Actually alphanumeric characters are elements of writing which needs to be organized in the space. Synsemia is more usual than we can think, unfortunately. We can read vertical and horizontal alignments to understand (to infer) relations between elements. And we can get the hierarchy of text elements from size. This is a page from “Letters of Euler to a German Princess, on Different Subjects in Physics and Philosophy”, written by Leonhard Euler. Which part is the illustration, and which is the main text? As you can see the demonstration of Eulero is strongly based on the succession of graphics elements. In the first printed version (in french) it is possible to see how deeper was the relation between alphabetic text and diagrammatic text. It could be interesting to see which was the relation between elements in the original manuscript.